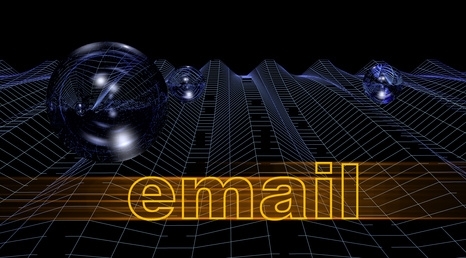 In today's technologically-advanced world, more and more communication takes place over email. And why not? Typing a few words on a keyboard and hitting send is easier, cheaper, and faster than composing a letter on paper, stuffing it into an envelope, putting a stamp on it, and dropping it in the mailbox. And I'm not just talking about business-related exchanges between two people sitting at their desks in their respective offices - with the advent of smartphones, more and more people have access to email at all times. And when sending an email has the same basic structure as sending a text message, you can bet there will be some residual decline in the class and reputation of the medium. Seeing as how easy it is to compose a message, type in a recipient's email address, and hit "send," it's easy to overlook some of the more old-fashioned polite aspects of letter-writing. Remember when we spent hours learning in which situations to use "Dear Sir or Madam" or "To Whom It May Concern"? Or how to correctly format your return address in the letterhead? In emails, the only formality left is a pre-fabricated signature, if that. Yet emails are certainly less clear and direct than a conversation on the telephone or in person. They occupy an awkward middle ground. So what is the proper way to comport ourselves in an email thread? Should we treat them like correspondence, with the proper salutations and formatting? Or should we approach them as we approach text messages, as an extension of a casual conversation? As always, it depends on the situation, but here are a few things I've learned about Proper Email Threadiquette. Flash forward to the current state of email, specifically Gmail. I know message threading had been around for a while at this point, but the first time I experienced it was with gmail, in the mid-00s. All the messages from a single "conversation" roped together for my own personal convenience and amusement. But when it really gets fun is when you get multiple participants, all contributing to the same thread, each one color-coded with a random, Gmail selected color (probably generated by the same algorithm that determines what ads appear in your browsing window). It has all the conversational flavor of a chat-room, all the immediacy of a text message, and all the pomp and appearance of email. So what happens on these hybrid email/chatroom threads, known as "conversations"? Their main purpose, of course, is to grind office productivity to a halt. Many of us "Working Man" style Americans sit in front of computers all day, and if we didn't have threads filled with absurd jokes or nonsensical pictures to divert us, we would slowly go insane. So as long as the content has totally nothing to do with anything of substance or that contains real information, you're on the right track. The tone should be both light and earnest. You want your threadmates to know that you care enough about them to craft an engaging and witty contribution, but it should also come across that you clearly have something better to do, so it shouldn't take up too much of your valuable company time. But don't come across short or snappy, or offend anyone's sensibilities. Remember, there are no body language or tone-of-voice cues over the Internet, so attributes such as sarcasm don't often go over too well. It's not virtual reality yet. It's important to bide your responses and not appear desperate. If you happen to just think of the perfect rejoinder immediately after sending something, you're out of luck - you just have to sit on it. Nothing is worse than responding to your own message in a thread (despite how easy Gmail makes it to do so). Because in a thread, how you're perceived is just as important as what you send. If you have a funny/inspiring picture to send or an interesting video to share, go for it - but please limit yourself to one picture every few messages, and not the other way around. Google Images is a wonderful service, but it can also be a greedy trap. And with videos: nothing over 7 minutes, please. In a blog post, it's OK to occasionally link to epic Prog anthems, but if someone is checking email, chances are they're also doing something else, and thus don't have time for anything more than a sound byte. I also get pissed whenever I see the dreaded NSFW tag. What is that, a challenge? What do you know about my work? Besides, nobody except Tipper Gore ever liked those "Parental Advisory" stickers either.) And above all, if you're trying to RickRoll someone, PLEASE make sure you're using an email client that doesn't preview the video in the body of the message. You're just wasting everyone's time. Sometimes groups or organizations try to utilize mass email threads for the dissemination of useful information or as a means to make plans. However, nothing kills a thread faster than trying to make it legitimate. People suddenly forget how to "Reply All," or start sending out annoying one-word replies, or include entirely too much irrelevant information. This very blog was almost torn apart by one such thread. But we've grown up a lot since then and learned plenty of valuable lessons (like keeping actual informational emails confined to sidebars and not to send out any replies under any circumstances between the hours of 11pm and 8am). 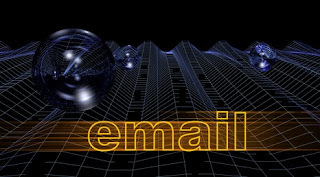 By its very nature, email is an emotional and incendiary communication tool. With the apparent lack of accountability, some people think they can type whatever they want, forgetting that every email is a permanent record of one's conduct. Others forget about those social cues that are easy to pick up on in person or on the phone but get completely lost in the ether of email. Then there are those who simply send messages to the wrong people or unintentionally mistype. Tempers flare, egos rise to the top, friendships are strained, and reputations can be ruined. It's a dangerous business, responding to a thread, and if you don't keep your wits about you, there's no telling what consequences your responses might bring. So the next time you type something into the body of an email, stop and think: Does this message represent me? Is there anything in here that could be misinterpreted or conveyed as less than respectful in any way? Would you be comfortable if any part of this email were projected onto the side of a building with your name on top of it? And if you doubt your answer to any of these questions... what the heck, send it anyway! It's just the Internet. What could possibly go wrong?